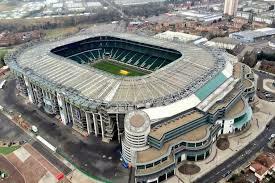 The excellent facilities of the Twickenham Experience have again been chosen by the London Borough of Ealing for their fifth annual one-day School Business Managers Conference and Exhibition. The School Workforce and Governance team at Ealing are offering all Primary, Secondary and Academy School Business Managers from Ealing and all surrounding boroughs the opportunity to attend. With both the return of Sir John Jones as keynote speaker plus other speakers and workshops running throughout the day, the Conference promises to be another popular and well attended event. The delegate cost for this event is £155.00 and those delegates interested in attending should kindly email abennett@ealing.gov.uk with their contact details or call 0208 825 6689 to book their place and receive joining instructions. 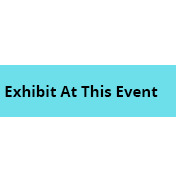 Companies wishing to take advantage of this excellent opportunity to participate and display their products and services should kindly contact us or complete as soon as possible the “interested in exhibiting form” at the bottom of this page to secure their space. Mark is Managing Director of i-teachers who are an education consultancy company working nationally across the UK, aiming to be a trusted source of genuine talent for schools and colleges, and a 'go to' space for those wanting to forge a career in education. Mark will explore the proposal for a national framework agreement for supply of staff into schools, openly talking about the benefits and restrictions? Matthew leads the support staff at Bordesley Green Girls’ School in Birmingham. He is a trustee and Fellow of the UK National Association of School Business Management (NASBM) and chaired the SBM practitioner group which wrote the NASBM professional standards. He is the current link-trustee overseeing the development of an updated suite of qualifications for school business management professionals. He has a growing private practice advising a number of leading education organisations on policy issues, as well as delivering training and campaigning for better management of school resources. Ryan has over 15 years of experience in the education sector. He is an esteemed speaker and sector authority on the topics of school finance and Income Generation. He has carved out his success in the family business, Pebble, where his bold ideas and business acumen have helped to position Pebble as a market leader in the provision of fundraising and financial solutions to schools. Ryan regularly delivers presentations at education sector events on financial resilience in education and Income Generation principles. He draws extensively from his professional experience as a fundraising consultant in the education sector to give practical and pertinent advice that motivates school staff to take action and achieve success. His engaging style is favoured by those new to income generation and income generation experts alike. Ryan combines his infectious enthusiasm with expert subject knowledge to deliver a fresh perspective on new opportunities for education funding.